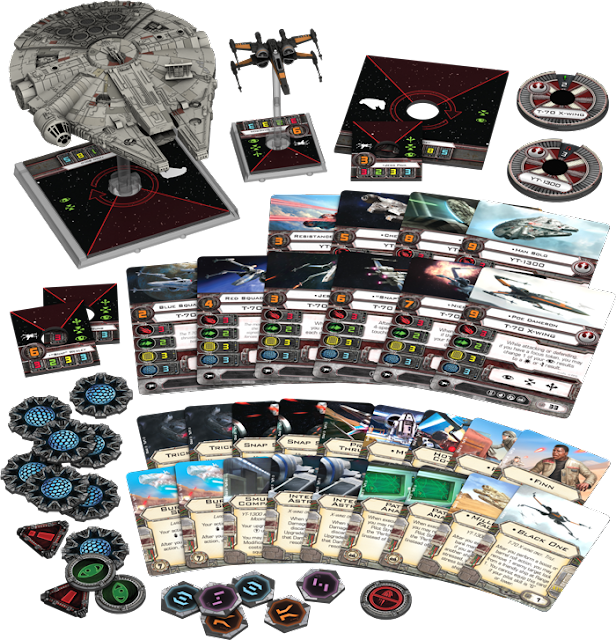 Fantasy Flight Games announced today that they will be releasing the Heroes of the Resistance expansion for X-Wing, including a new model of the Millennium Falcon, complete with square radar and a black and orange T-70 X-Wing. Apart from some snazzy new paint work, and a subtle change in Sky dish, what’s new? Well for starters we now have a second Poe Dameron card, which is exactly the same but with an extra point of pilot skill for 2 extra points cost as well as the usual array of named pilots and ‘squadron pilots’ which unfortunately are all obscured in the images. Now there are those that consider the YT-1300 to be a bit overpowered, and the new cards aren’t going to do a lot to change that thought. You now have a new Millennium Falcon title card that allows the freighter to effectively do a Segnor’s loop, making it even more manoeuvrable. 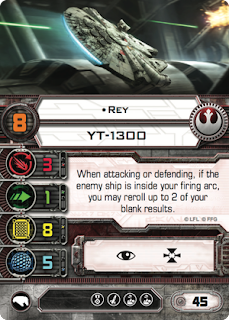 You then have Rey who allows you to reroll 2 blank dice as long as an enemy ship is in your firing arc. 2! I foresee poor Rey putting a few pounds on and becoming the Fat Rey very soon. Speaking of the fat boys there are also two new Chewbacca and Han Solo cards, but again the current images do not reveal their abilities. So what do you think? Will you be expanding your collection to a second (or even third) YT-1300? 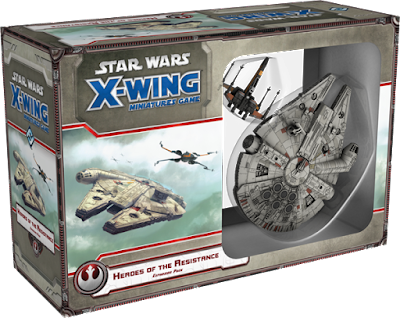 As someone who regularly uses both YT freighters I must admit it’s a very tempting expansion.